Imagine a dispute between two of the apostles—and that in public! In Galatians 2:15–16 Paul gives what lies behind his strong rebuke of Peter, which he describes in the last half of Galatians 2. You are not justified by observing the law. The question about justification arose because of Peter’s actions. Justification, as Paul uses the term here, refers to God declaring sinners not guilty, or just in his sight. We’ll come back to the concept in a few minutes. One of the reasons, a subordinate one, for Paul bringing up this conflict that had taken place in the past, was to emphasize that his apostleship was not dependent on the earlier apostles. Not only had his call as an apostle come directly from the Lord Jesus, but he was not subordinate to the other apostles. Acts 11 contains the account of the church expanding at Antioch to include Gentiles as Christians. And there the title “Christian” was first used. A huge barrier between Jews and Gentiles were the dietary laws of the Old Testament. In Acts 10 you have the record of the vision the Lord gave Peter to show him that he could go to the home of the Gentile centurion, Cornelius. In Antioch, Peter first ate with Gentile Christians, but when some Christians from Jerusalem arrived, he withdrew, and ate only with Jewish Christians. (The men coming from James does not imply that James approved their actions.) Paul is concerned about Peter’s action, strongly enough concerned to rebuke him to his face. While we must pursue the peace of the church, it is not peace at any price. Some sins and errors are serious enough to warrant public rebuke. Not only was the unity of the church threatened, but the truth of the gospel was at stake. “A man who tries to earn his salvation, or to do anything towards earning it, has, according to Paul, done despite to the free grace of God.” (J. Gresham Machen, Machen’s Notes on Galatians, p. 143). The works of the law justify no one—look at Abraham. Peter’s action was serious because of its implications for the Gentiles. Paul did not object to Jewish Christians continuing to observe the ceremonies with which they had grown up. This was essentially an indifferent matter. (See 1 Corinthians 9:19–23.) But to insist that the Gentiles keep them implied their necessity for salvation. Since Peter knew that Christ’s righteousness is the basis for salvation, how could he engage in conduct that implied that works were that basis? By works of law no one is justified. Paul may have Psalm 143:2 in mind. 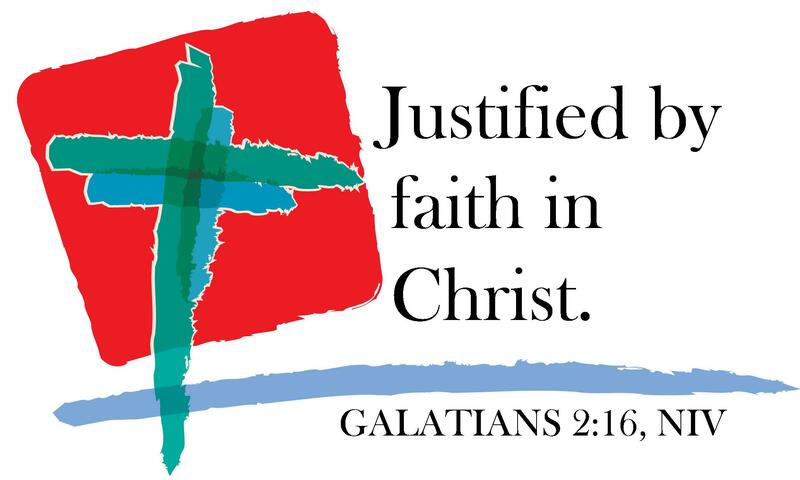 The whole Old Testament is against the idea of justification by works, see Galatians 3:1–12. Abraham was declared just by faith, not by the works of the law, Genesis 15. Abraham’s faith was in the promised Messiah, the one who would undergo the curse of the covenant. The law condemns all sinners. When Paul emphasized justification by faith alone, he is not introducing a concept new to the New Testament. Rather, he makes clear that God’s people were never justified by works. You are justified by faith. You have been declared righteous. The verb Paul uses does not mean to make righteous. Some see justification as God making us good, and then accepting us because we have become good. Justification is seen as the infusion of righteousness into us. Paul is using a word that is a technical term, but it is crucial to his thinking, and to the history and life of the church. Justification refers to a declaration, a pronouncement, a legal verdict of “not guilty!” Romans 3:20,29; 4:3; 3:4. The legal system might (unjustly) declare a law-breaker not guilty. But God declares sinners righteous, not guilty! Justification requires a sovereign God, one who is just, and yet full of love for his people. It requires an objective law of God, which holds men accountable. How can you be justified? Trust the Christ who justifies you. Justification involves a transaction. The righteousness of Christ is imputed to us, it is placed on our account. See the wonderful definition of justification in the Westminster Shorter Catechism, Q. 33. Paul’s underlying motive in describing the conflict with Peter is to show his original hearers and us the crucial importance of justification by faith in Christ. 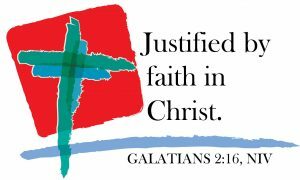 “Even in Galatians, Paul’s teaching on justification has its stark urgency, not simply because church unity is at stake. His rebuke of of Peter’s conduct is so unsparing, not just because unity between Jew and Gentile is being jeopardized, but because of what that broken unity is symptomatic, because he sees that such conduct strikes at ‘the truth of the gospel’ (2:14). Moreover, it conflicts with that gospel truth because the gospel, as he expresses it programmatically elsewhere, is not the reflex, post facto, of having been saved. Rather, it is ‘the power of God unto salvation’ (Rom. 1:16), or even more tersely, ‘the gospel of your salvation’ (Eph. 1:13).” (Richard B. Gaffin, Jr., By Faith, Not By Sight, p. 51). To believe means to have faith in, to trust in. A righteous God accuses you. His law condemns your disobedience. Only God can provide the righteousness you need. Depend on Christ to give it to you. Actually rest on him. Enjoy the peace of heart that comes from that trust. Paul’s emphasis is not on your act of believing, but on the God in whom you trust. Christ’s death and resurrection is basic, Romans 3:24–26. You are justified only as you are united to him by faith. Faith is the means by which you receive him and his benefits. No other basis will do! Why does Paul refer to his conflict with Peter? Because he wants the Galatians (and you) to depend, not on anything you do, but on the perfect work of Christ.